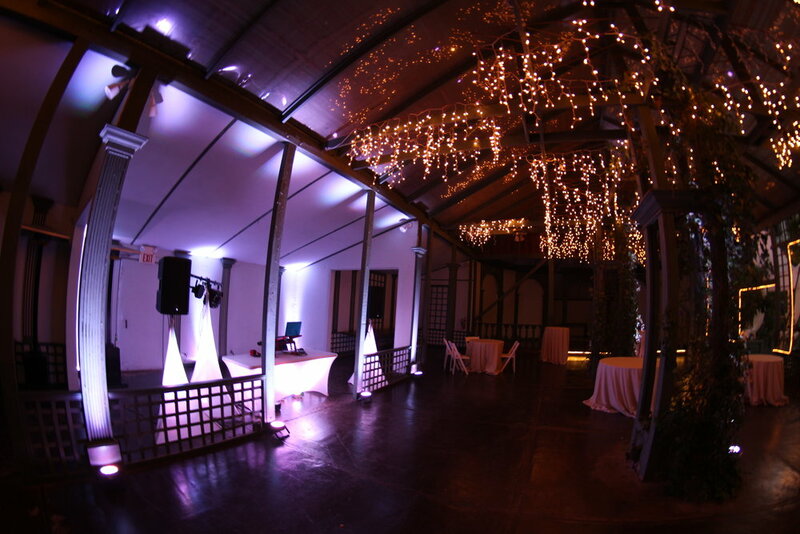 Lighting is the best way to completely transform an event space. Create a warm ambiance by bringing outdoor spaces to life with uplighting on trees and foliage or give a classic look to an outdoor dinner with string lighting to evenly light the space. We offer countless options to give a stagnant event space new life. 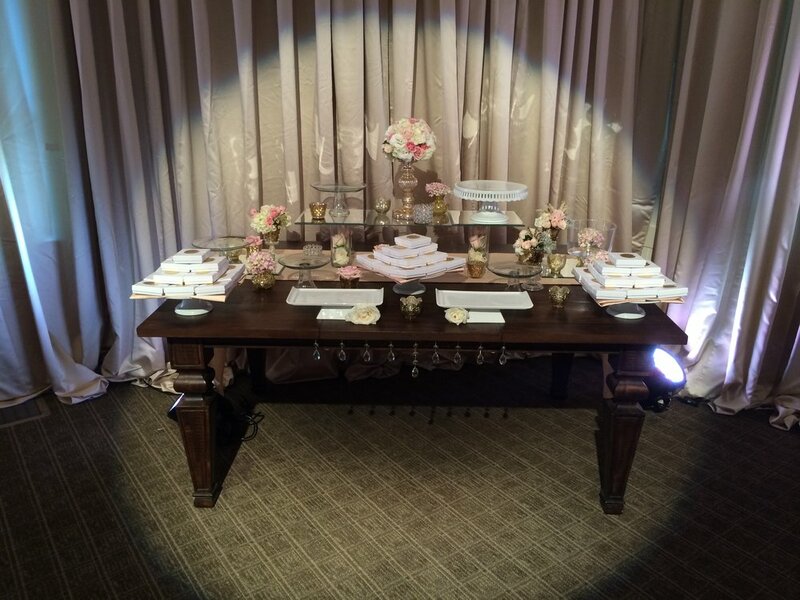 Contact us to fully customize the look of your event. 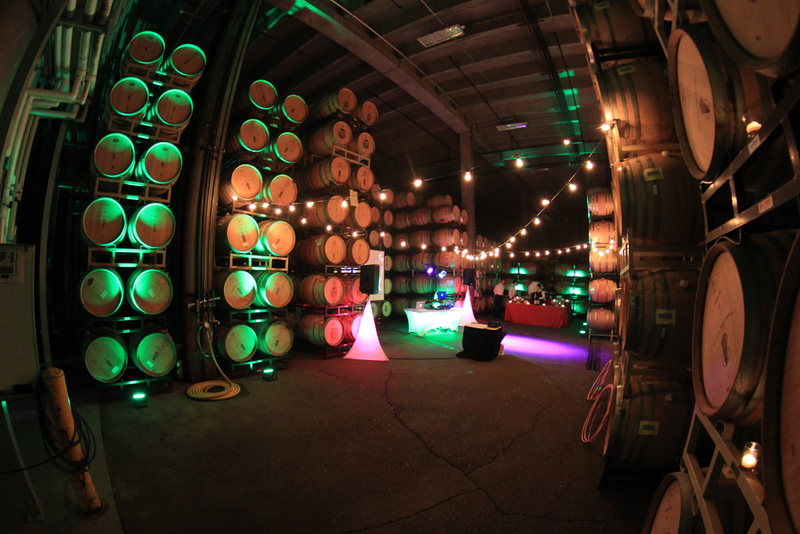 Wireless battery powered LED uplighting. Stage wash and pinspot lighting for tables, bars, stages and podiums. 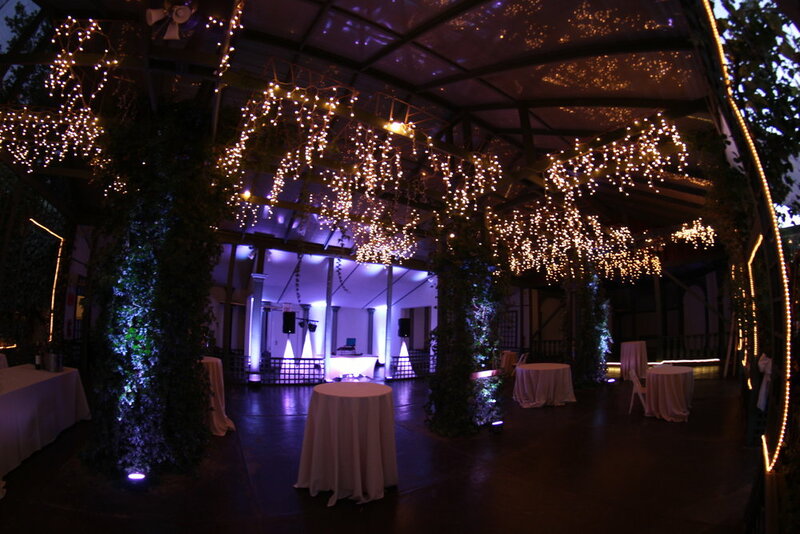 Gobo lighting with countless designs such as, vines, tree branches and foliage, logos and more. Bistro string and LED rope lighting. Dance floor moving lights, strobes and black lights.